Miyamoto Musashi was one of the most high-respected Samurai in Japanese history and he lived from 1584 until 1645. 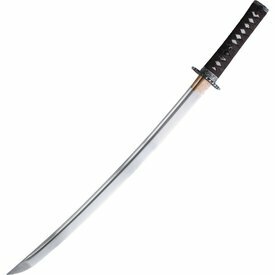 He was said to be the best sword fighter of whole Japan. He was not only a fighter but also an artist and a craftsman. He developed his own combat style, nowadays it is still knows as Niten Ichi Ryō«. 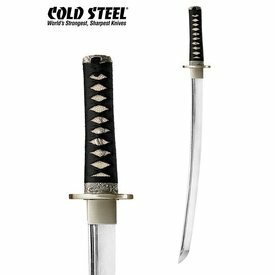 Shortswords and long swords were used simultaneously in this style. 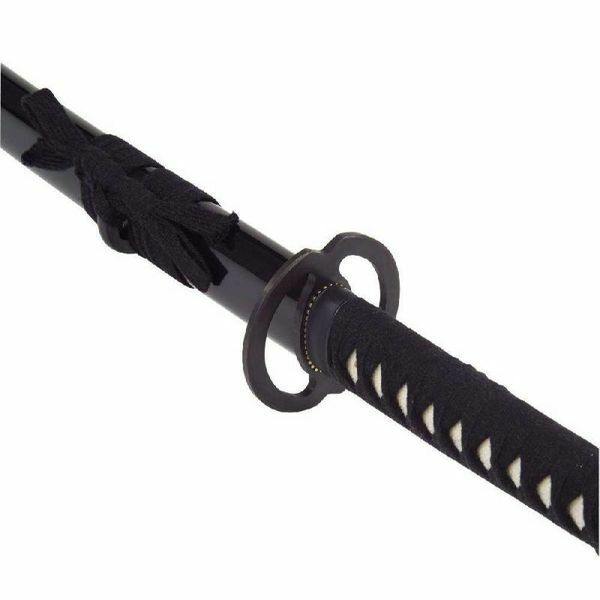 This wakizashi has a length of 76 cm with a grip (tsuka) of 22 cm and a blade of 54 cm. 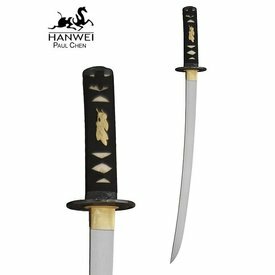 It weighs 800 g. The blade is made of Shinogi-Zukuri steel with a fuller and is sharp, the grip wrapping is made of black cotton in the classical Hineri-Maki style and the katana has a black lacquered scabbard (saya) in the Kuroro style. A striking collector`s box is included. 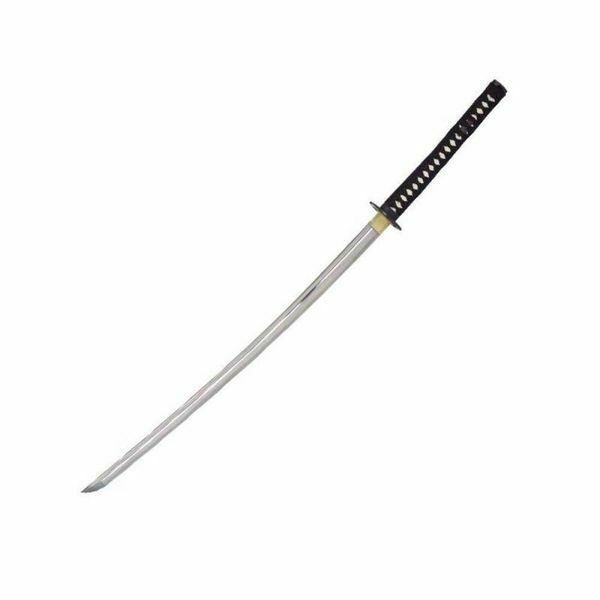 Net als zijn langere tegenhanger, de Katana, is deze Wakizashi gericht op praktisch gebruik en bescheidenheid. 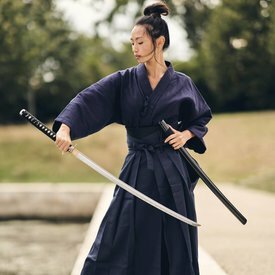 De Fuchi en Kashira zijn onversierd, alleen de Kashira heeft een kleine versiering op het punt waar de Tsuka-Ito(katoenen omwikkeling rond de Tsuka(het gevest) in de Kashira loopt. De enige versiering, die ook weer praktisch is, zijn de Menuki(ornamenten tussen de Tsuka-Ito). 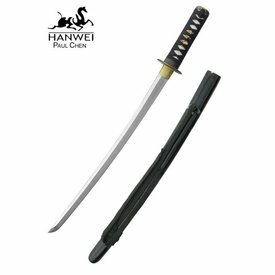 Ook deze Wakizashi is iets zwaarder.